Patients in the Shrewsbury area who are interested in alternative solutions for addressing misaligned teeth may be introduced to the idea of Invisalign orthodontics. Invisalign is a method of straightening the teeth in a way that does not use brackets and wires. This method uses clear aligner trays that are worn to reposition the teeth gently. 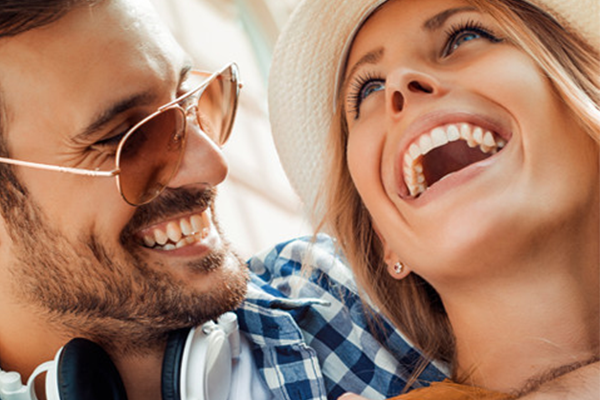 This allows patients to enjoy the benefits of a beautiful smile while also addressing malocclusion of the natural dental arch and/or the bite. Dr. Levenson of Levenson Smile provides teenagers and adults with Invisalign when they are appropriate candidates. Good candidates for Invisalign are teen and adult patients who have mild to moderate misalignment of the dental bite or arch. When more severe cases are seen, they may need to be referred to a quality orthodontist to undergo treatment for realignment. Invisalign works by moving the teeth into their appropriate positions with low force. The aligners are custom-made for the patient's smile based off impressions taken at the beginning of treatment. The impressions are used to fabricate a series of trays with each one worn for approximately two weeks before the next is used. This process allows the teeth to reposition gradually thus improving the appearance of the arch and reducing misalignment. Invisalign is a revolutionary method that has been used for many years to allow teenagers and adults to improve their smiles. However, in order to maintain the results, patients are encouraged to use retainers. A retainer is worn at night to help keep the teeth in their new positions. Most patients who undergo orthodontic treatment need to use retainers for a specific period to ensure the smile stays and shifting does not occur in the future. Dr. Levenson loves the ability to improve the appearance and alignment of smiles with the use of Invisalign treatment. Patients in the area are welcome to contact his practice for a consultation appointment to learn more about the benefits of Invisalign versus traditional orthodontics.